David Powers King: A To Z Challenge: Outlaw Star "Come On!" 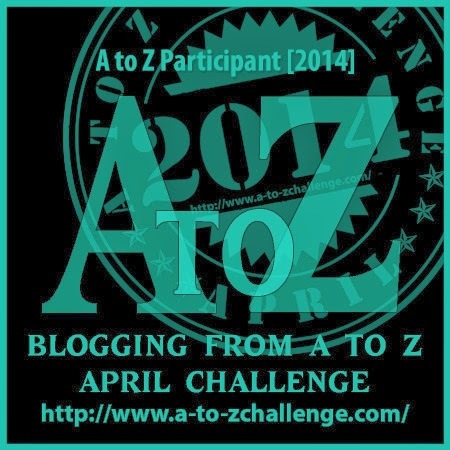 A To Z Challenge: Outlaw Star "Come On!" Thanks to Cartoon Network back in the late 90's, I found Outlaw Star, a sci fi Anime that, to this day, I have yet to find another that's equally entertaining. The frequent twists and irreverent humor had a profound impact on me, so I had to tune in after school. The score by Kow Otani lived up to the premise of outlaws and pirates in space. I'm David, and "lay off my grappler arms, will ya, buddy?!" I guess because the Cartoon Network came too late in my life, I've not seen the show. Thanks for the tip. Never heard of that. I don't think it's one they're doing on their Toonami Saturday nights at the moment though from the commercials they seem to change that lineup every other month. I'm not familiar with this cartoon, but I enjoyed the music. I should find this series and check it out! your blog has kind of become a night time fix, and i so look forward to listen to the music that u upload, the last thing before i crash!! Ooh! I like this one. High energy. I needed this to get me moving again. Thanks much! I think I'm too old to know this one, lol. Sounds great, though. Last night the hubs and I watched Iron Eagle with the kids...that was my childhood flashback, haha. That music definitely has a 90s TV show sound! IT has a great beat! An almost happy kind of score! I like it!! Outlaw Star!!! Loved that anime. It's a great mix of Western and space opera. I'm impressed by how many places you're pulling these songs from. This one is definitely not as, erm, soothing ;) But fun!! I haven't heard of that show before. Catchy song, though. Wow, this one takes me back to childhood. The 90's had the best cartoons. Thanks for the reminder David. Sci-Fi anime??? I haven't even heard of such a thing!!! LOL! Love it! Not one of my favorites, I'm afraid. I actually own this anime, but never watched it. The first CD had a bubble in it that affected the very first episode. I tried to contact the company I received it from, but they never responded back to me. I just decided it wasn't worth the hassle. This one is new to me. Must check it out. I haven't heard of this show. Sounds like a must-watch show though!